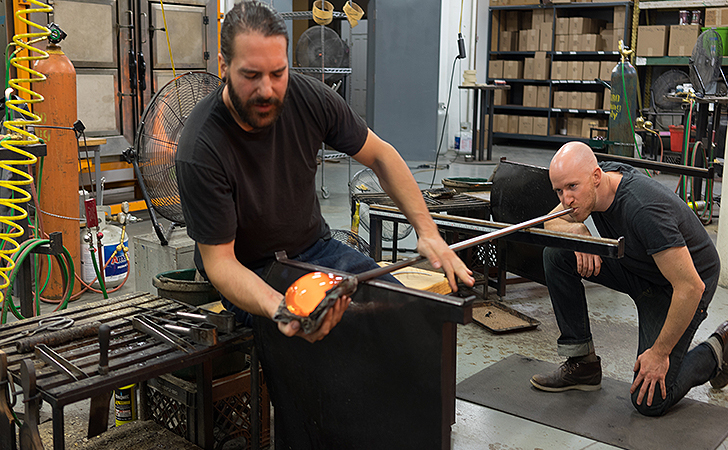 You can’t step inside Hennepin Made’s northeast Minneapolis studio without feeling the passion that Jackson Schwartz and Joe Limpert have for crafting hand-blown accents that blur the line between everyday object and modern art. The glass-making duo met at the University of Wisconsin-River Falls, where Schwartz was an instructor and Limpert was a student studying ceramics. Limpert made the transition to glassblowing after joining Schwartz’ class, and soon after, an apprenticeship was formed. After outgrowing their rented studio space, they forged a more formal partnership, found an empty warehouse and began pursuing their dream. With the help of supportive family and friends, including a large steel donation from Bell Manufacturing (Room & Board’s longtime furniture partner), Hennepin Made officially opened its doors in April 2011. That October, they created their first piece of glass in the new space. Just months later, Jim and Judy Bell generously gave Room & Board’s product team some lovely holiday gifts by Hennepin Made. Everyone was excited to learn about a hand-blown glass company that was in our backyard. 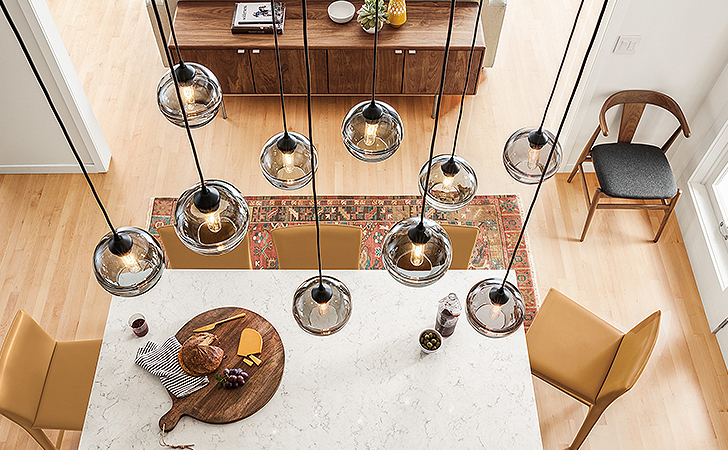 “We immediately connected with their clean, timeless product aesthetic and the immediate feeling of great integrity,” said Jenon Bailie, Merchandise Manager at Room & Board. In 2016, Hennepin Made had grown so much that they moved into a larger space in Minneapolis. The growth is a testament to the apprenticeship model Schwartz and Limpert founded their business on. New artists are mentored to become integral members of the team. This process not only improves the company dynamic, but the product itself. 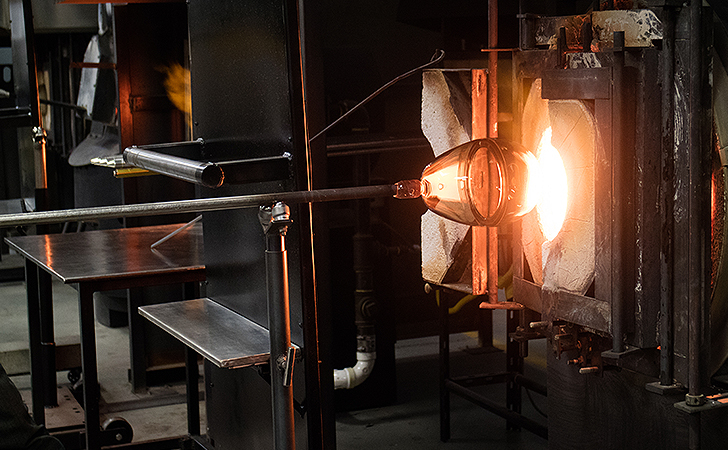 “We just don’t want to make glass. We want to build a team that’s passionate about the craft and wants to do it every day,” said Schwartz.